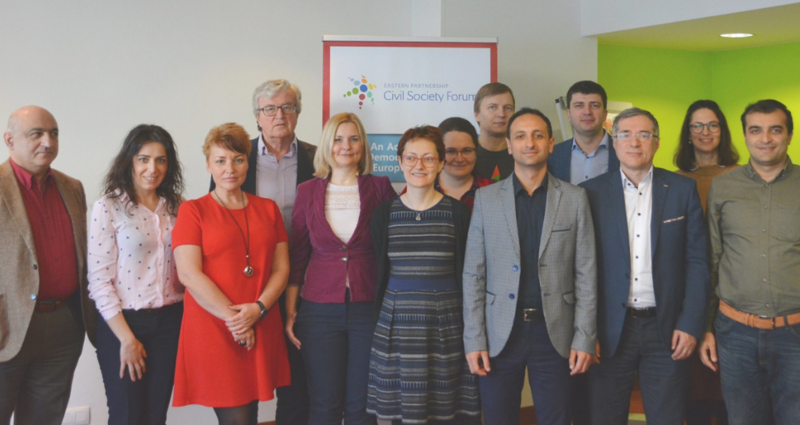 The Steering Committee is the representative body of the EaP CSF with a mandate from civil society in the EaP countries and EU member states. It serves as the governing board of the CSF and consists of maximum 13 members elected for a one-year term by the Forum at its Annual Assembly and meets several times per year to develop strategies for future development and guide the activities of the Forum. The Steering Committee elects two co-chairs on a yearly basis, who chair the meetings of the Steering Committee. The minutes of the Steering Committee meetings are noted by the Secretariat, which is also present at the meetings. The minutes of each meeting are made available to the public.